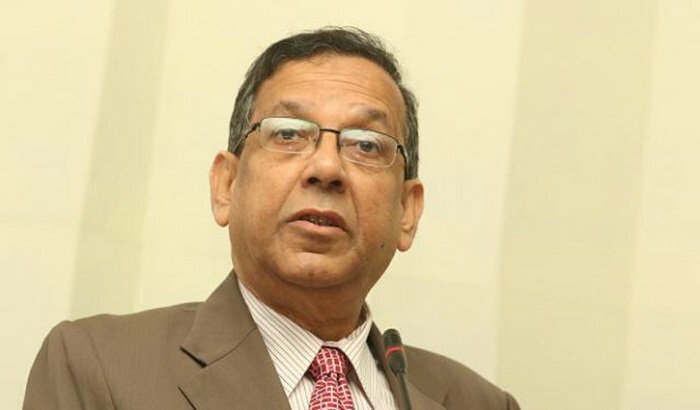 Law Minister Anisul Huq on Sunday said that all law officials of the state will be asked to resign within a few days. Anisul Huq came up with the remarks while addressing as chief guest at a programme arranged marking the homecoming day of father of the nation Bangabandhu Sheikh Mujibur Rahman at the Supreme Court Bar Association auditorium in the capital. Law minister said Sheikh Hasina made Bangladesh as role model. She established democracy in the country through establishing rule of law and removing culture of impunity. Anisul said no democracy was for 21 years in the country after 1975. He urged the lawyers for united to strengthen the hand of Sheik Hasina. Bangladesh Bar Council vice-chairman Advocate Yusuf Hossain Humayun presided over the programme while Railway minister Nurul Islam Sujon, Housing and public works minister SM Rezaul Karim, Industrial minister Nurul majid Mahmud Humayun, state minister for Aviation and Tourism Md Mahmud Ali, attorney general Mahbub-e Alam also spoke among others.